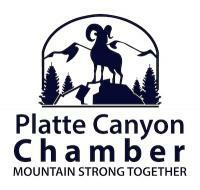 3/17: Platte Canyon Chamber of Commerce Chances Scholarship Auction! 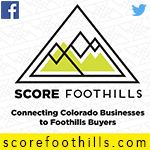 The Platte Canyon Area Chamber of Commerce Chances Scholarship will be holding an auction at Riverbend Eatery, 60006 US Hwy 285, Bailey, Colorado 80421, on March 17th, from 2-4 pm. 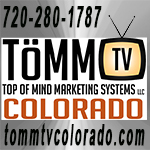 Please consider participating by either donating items for auction or bidding for items at the auction. This would be a great way to help PCHS seniors receive scholarships! 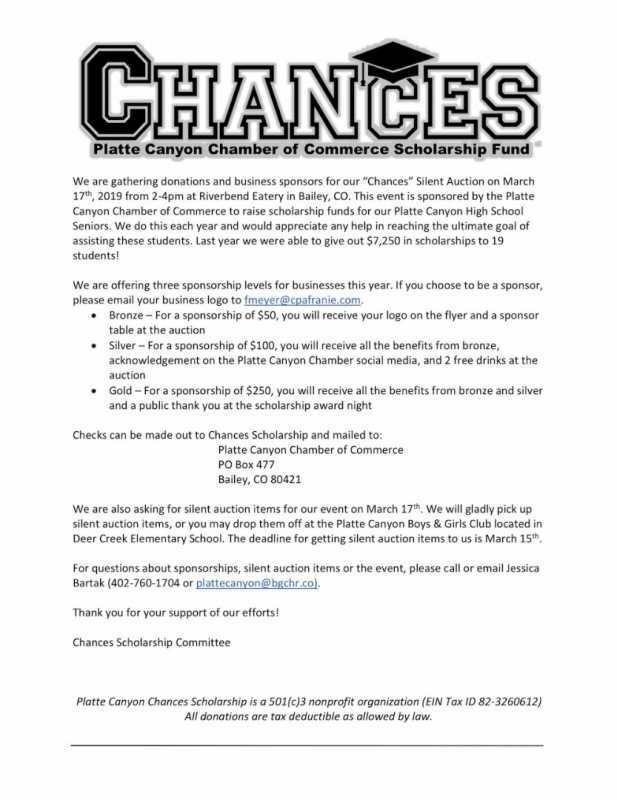 Replied by PlatteCanyonChamber on topic 3/17: Platte Canyon Chamber of Commerce Chances Scholarship Auction! 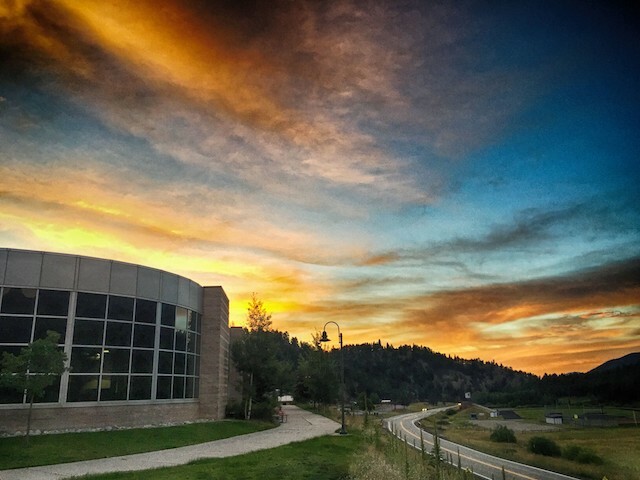 We have a change in location for our Chances Scholarship Fundraiser and Silent Auction on March 17th - it will now be hosted at Riverbend Eatery, 60006 US Hwy 285 in Bailey! Come join us from 2-4pm for a great cause! The Chances Scholarship Silent Auction is underway! Come join us at Riverbend Eatery for these great items and more! Any honey lovers out there? 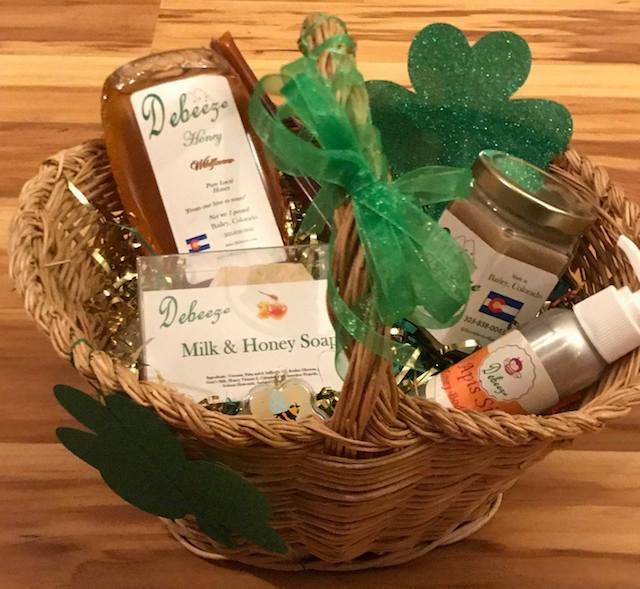 We have this basket full of honey goodies donated by Debeeze Honey, that would be perfect for you! Stop by at Riverbend on Sunday to put your bid on this basket or any of our other auction items! Do we have any wine lovers attending the event? 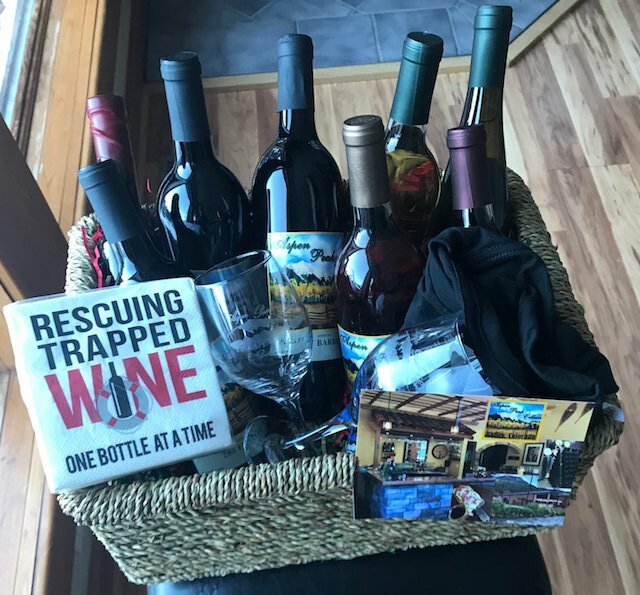 We got this amazing basket donated by Aspen Peak Cellars which is full of wine (8 bottles to be exact), the perfect wine glasses, a t-shirt, and napkins that would make any wine drinker happy! Stop by on Sunday to see if you could be the lucky person who takes all of this home! We also have the perfect basket for the beer lovers in the community! 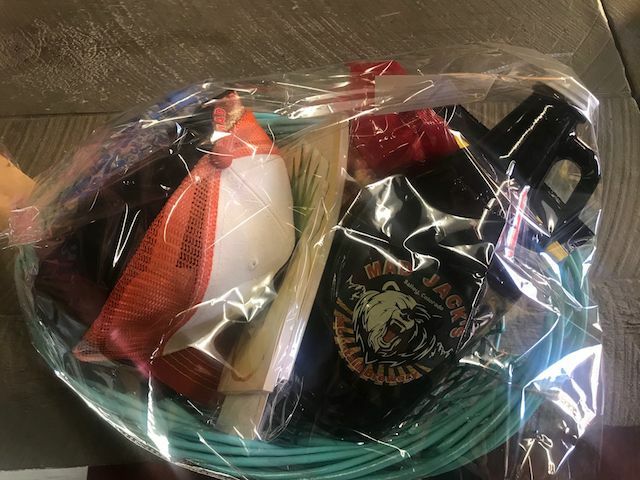 Mad Jack's Mountain Brewery donated this basket that has a growler with free fill back, 2 t-shirts, and a hat. Who doesn't love some coffee on a snowy morning? 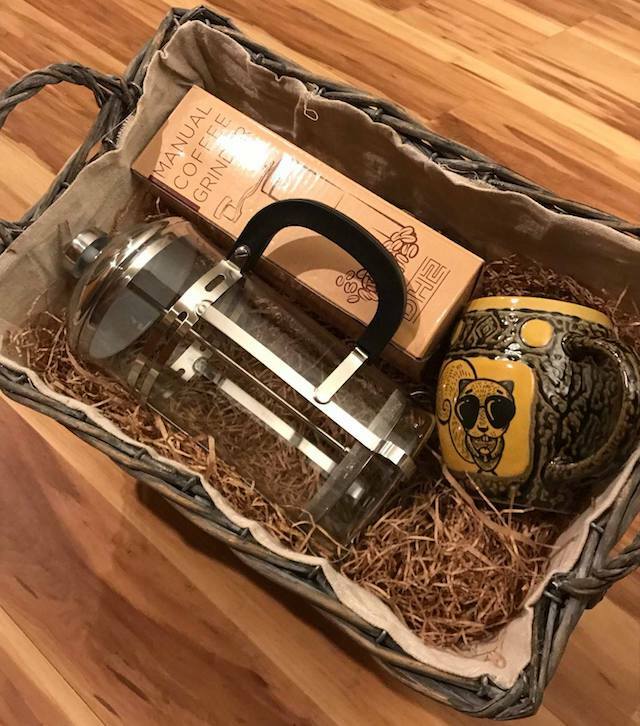 We have this coffee basket that was donated by The Chill Squirrel which has a french press, coffee grinder, and a cute mug! Stop by on Sunday to put your bid on this great basket! 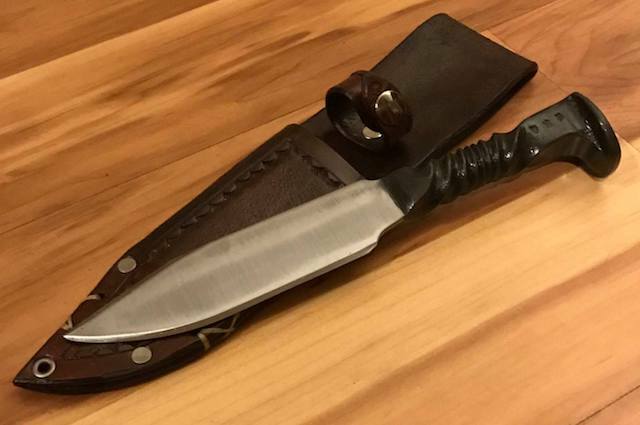 Another great item that we have up for grabs this Sunday is this railroad spike knife donated Wolf Spirit Forge. We are saving this wonderful knife for the live auction which will start at 3:30. Looking for a caffeine pick-me-up on your Monday? 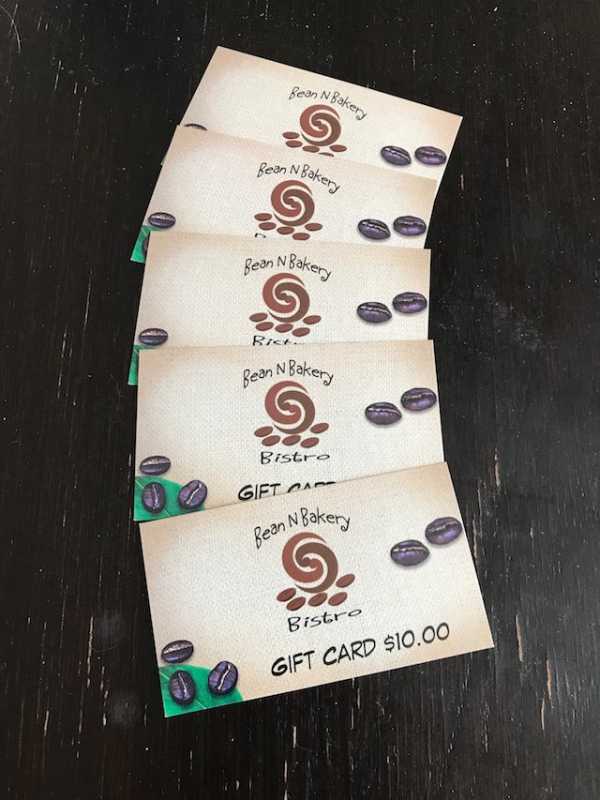 We will have gift cards for Bean N Bakery Bistro up for grabs at our Silent Auction on Sunday! 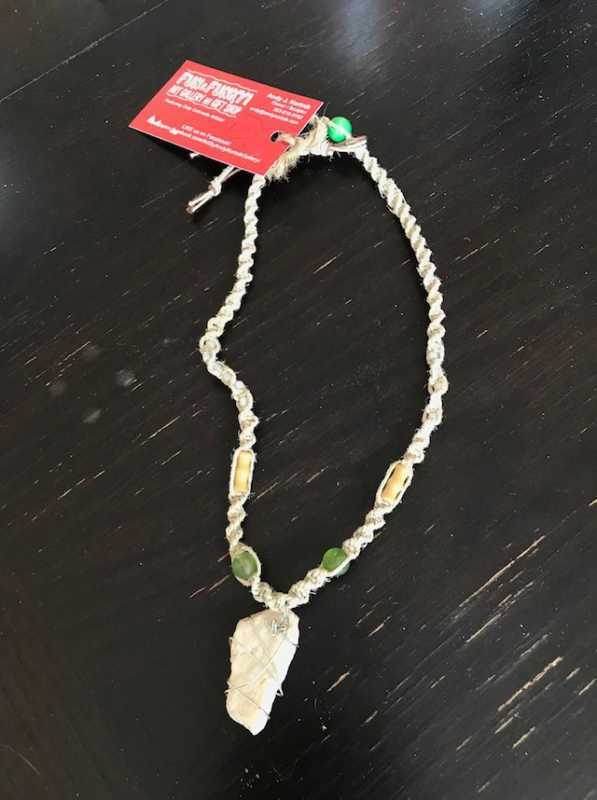 We've got this amazing necklace from Fun & Funky Art Galleries and Gifts that could be yours. 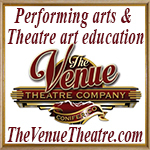 Stop by the auction next Sunday to check it out! Need a custom cake sometime soon? 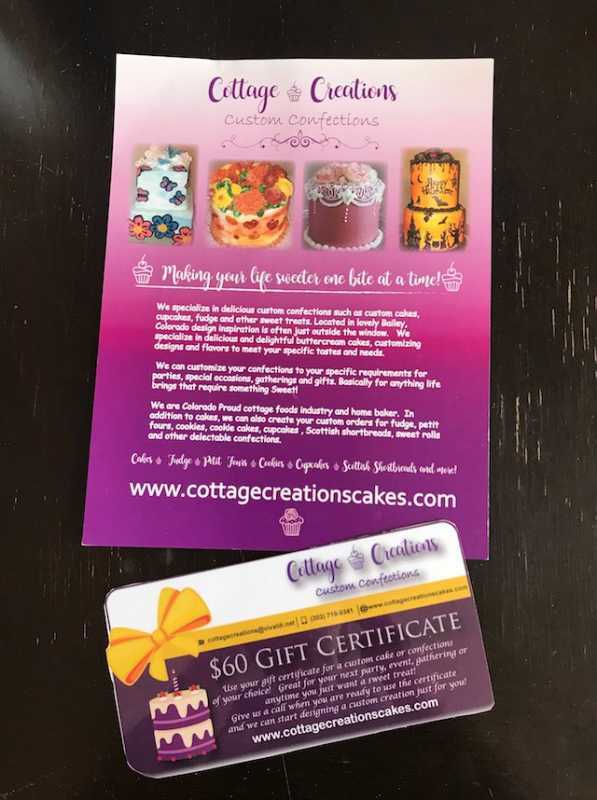 We have a gift certificate to Cottage Creations Custom Cakes that would be perfect for you! Do you love eating at Rustic Station? 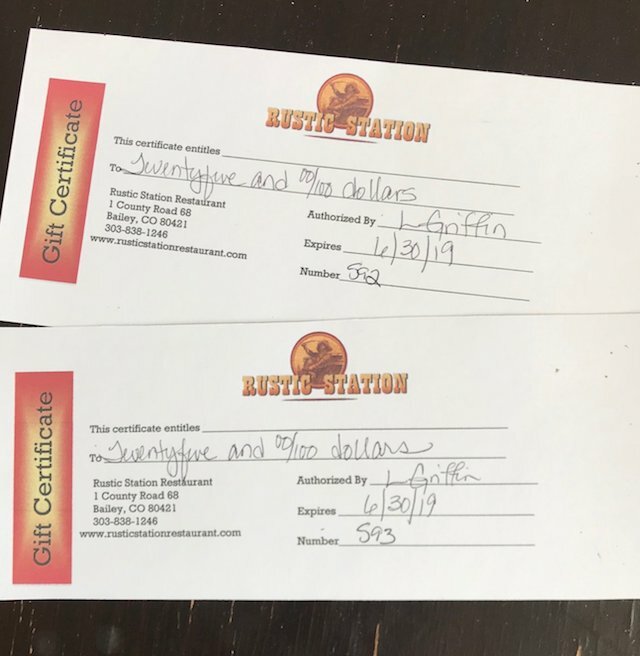 We will have a couple of gift certificates at our silent auction next Sunday! 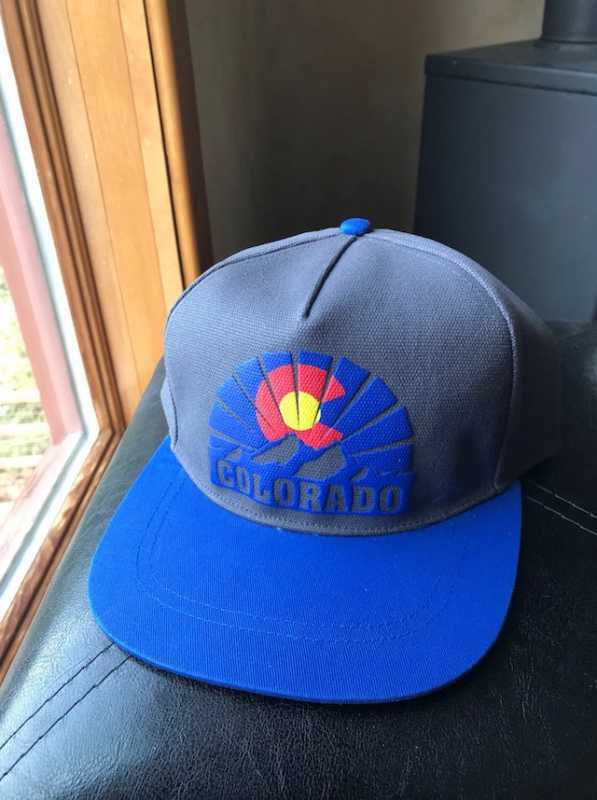 Up for grabs is this incredible Colorado flat bill hat donated by Platte River Outfitters! We are excited to announce that we were able to raise $9,350 yesterday! 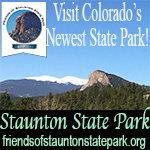 This money will be reinvested in our community by providing scholarships to Platte Canyon High School Seniors. We can’t thank our sponsors, donors, and volunteers enough, this event wouldn’t have been a success without your help!